This entry was posted in Uncategorized on October 12, 2018 by kittygumbo. Early detection and improvements in treatment have helped millions of women survive breast cancer. The videos in the collection below explain breast cancer screening and genetic testing, as well as some of the potential side effects of treatment. There are also personal stories from breast cancer survivors. Every topic is covered including sexual side affects of cancer.. ACS Mission at work..We help you understand!! This entry was posted in Uncategorized on October 8, 2018 by kittygumbo. We’re starting with our Mission Monday and this week we are focusing on the information on breast cancer that is provided by the American Cancer Society. 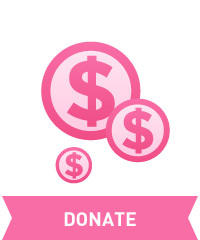 *One way your mission is at work is a website about breast cancer information and facts. It’s a huge library of information and treatment. *A great resource of information and the different types of breast cancer. If you have breast cancer.. This entry was posted in Uncategorized on October 1, 2018 by kittygumbo.